Matt ArtPix: OH WHAT A LOVELY WAR! This week I saw this stunning stage play at the Stratford East theatre in London. I've wanted to see it for absolutely ages, and at last it has been revived in time for the First World War centenary. This landmark play was first put together by theatre legend Joan Littlewood in 1963. The basis of it is the soldier's very own songs, interwoven with a bitingly satirical look at the war and its generals. The characters appear in pierrot costumes to recreate the old end-of-the-pier shows, giving a fabulously authentic Edwardian feel. Tragic, poignant and funny moments leap at you throughout the whole play. All the while there are photographs of the war projected onto screens in the background as well as dates and statistics of all the major battles running along a digital board. Most of the grim figures of the appalling losses were accompanied by the words GAINS: NIL. You got a wonderful double sense of history throughout the whole night. Not only of the war but of the original play staged 50 years ago. All the amazing choreography, costumes and inventive use of the stage, coupled with the anti-war and anti-Establishment sentiments made this a hugely radical play in the Sixties. And it all still resonates strongly today, they even reprinted the original programme from 1963, which was a lovely touch. 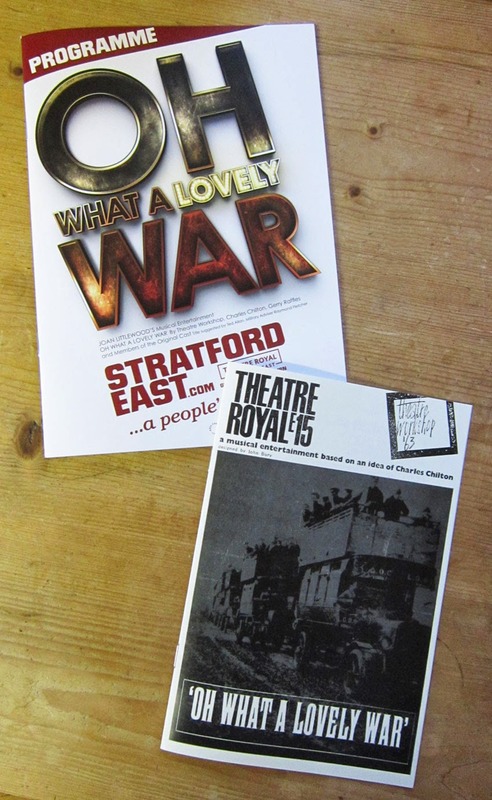 The programme for the show, and the reprinted original from 1963. Hearing the mostly forgotten songs of the soldiers was particularly moving. The often bawdy and humourous songs were usually reworked from well-known tunes or hymns. 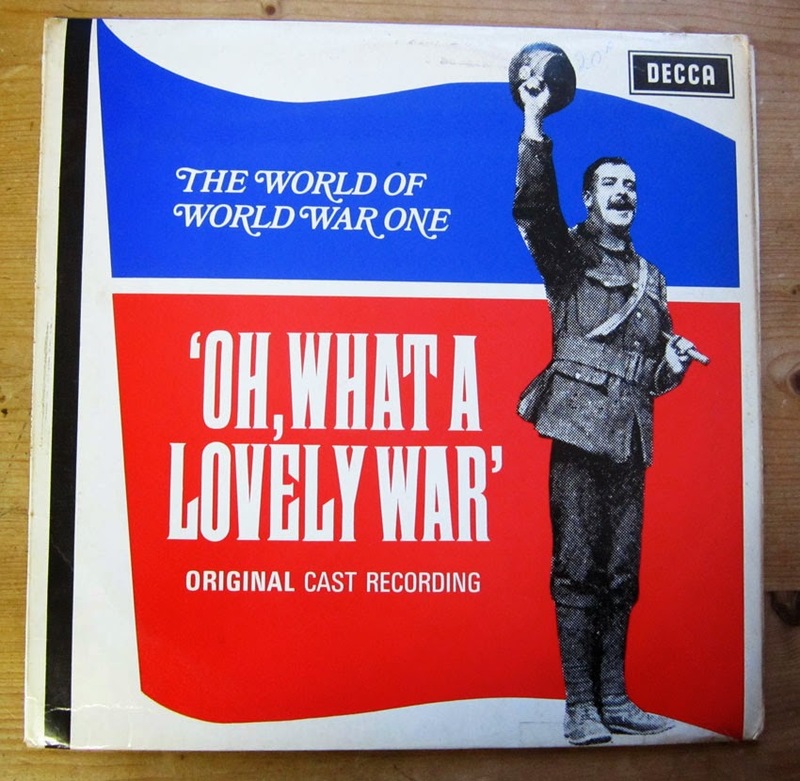 The humour was at its blackest in these songs, playing perfectly with the anti-war theme of the play. I felt the soldiers themselves were finally getting their voices heard again. As the debate rages on as to how Britain should remember and teach the history of the war, this all felt very relevant. I'm already fed up with political point-scoring and celebrity historians traipsing around cemeteries peddling their opinions and flogging their books. Please, let us just remember those who actually did the fighting, NOT the generals or politicians. Dug out of the ArtPix Archives is this vinyl record from the original stage play. 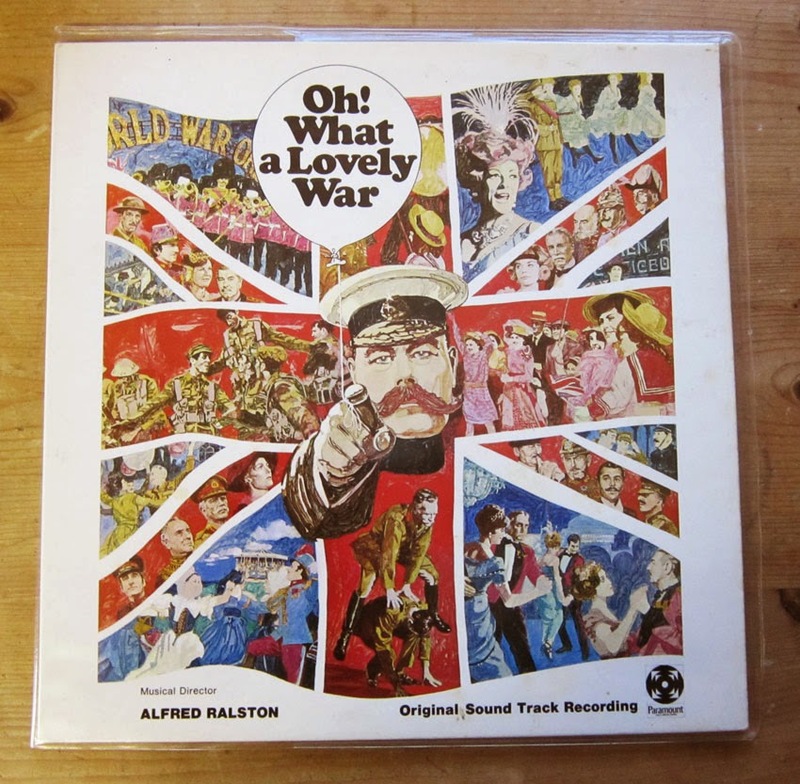 And here is the record from the film of 1969.